Holy Communion is at 9.00am on the Second, Third, Fourth and Fifth Sunday of each month, but not on the First Sunday of the month. In 2011 the church was the winning patron of the Art in a Religious Context award from the charity Art & Christian Enquiry. The biennial award was made for two commemorative stained glass windows, by artists Anne Vibeke Mou and James Hugonin. 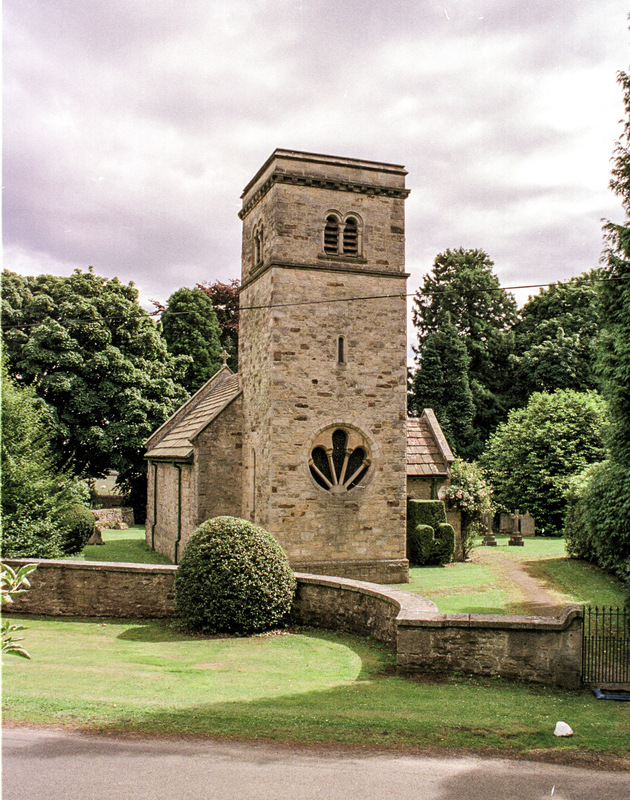 The two windows were commissioned as a memorial to his parents Julian & Virginia Warde-Aldam by local landowner, editor of the Hotspur magazine and churchwarden Jamie Warde-Aldam (a relation of the Quaker Robert Ormston who built the church). 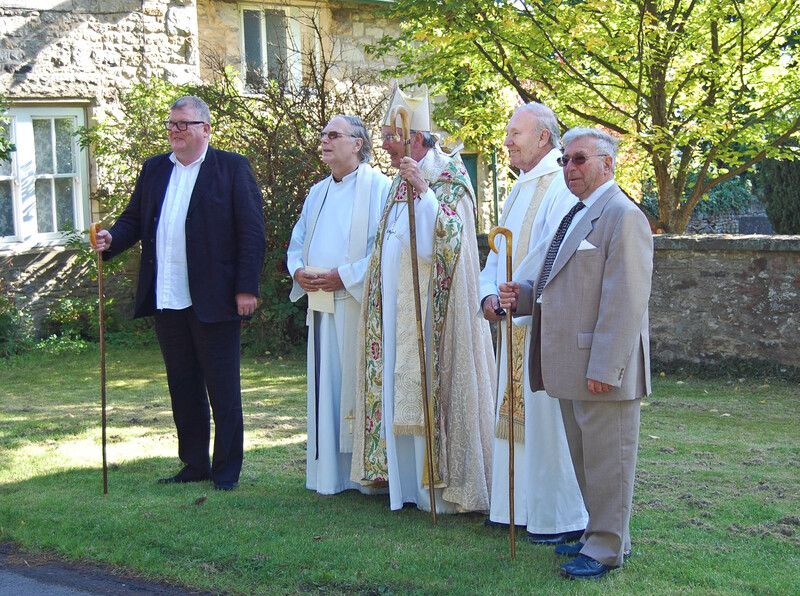 The windows were dedicated and blessed by the then Bishop of Newcastle in September 2010. Ann Vibeke Mou was born in Denmark and graduated with an MA from the Royal College of Art in 2005 before moving to Newcastle. She has shown in Denmark, Prague and London as well as at the National Glass Centre at Sunderland University. Her work is a sheet of glass covered with thousands of tiny impact marks made by hitting the glass with a tungsten point, creating swirling, cloud-like forms which can be seen from the outside of the church as well as from its interior, A hard frost can affect her window, giving it an extra layer of depth. James Hugonin was born in county Durham and graduated from the Chelsea School of Art, in 1975. He has shown at the Baltic and Kettle’s Yard in Cambridge as well as in London, Edinburgh and Germany. His window, “Contrary Rythm” is made of small rectangles of glass, some transparent and some translucent, mainly red, blue, yellow and green. Although totally abstract, a double helix form can be made out in the patterns of colour. 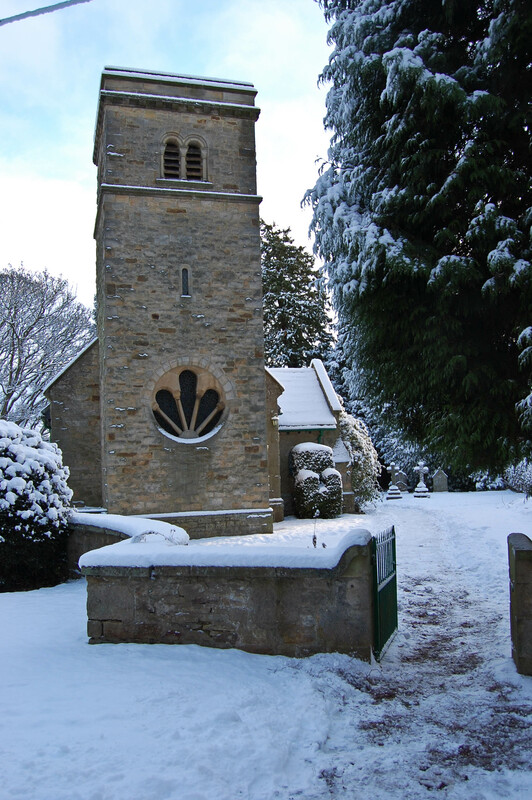 Parish church, 1860 by Major C.E. Davis of Bath; west tower 1890 by Montgomery and Carr. Rough-faced stone with ashlar dressings, rock-faced margined quoins; stone slate roof. Nave with apsidal sanctuary, west tower and south porch. Free Romanesque style. South elevation of nave: chamfered plinth; projecting gabled porch with heavy clasping buttresses and arch with chamfered inner order on free-standing shafts, outer order with huge indented ornament. Single-light windows in porch returns, 3 similar in wall to east and 5 in north wall; coped east gable with kneelers and finial cross. Sanctuary has single-light side windows and 3-light east window; central light with indented arch, flanked by shafts with pillow capitals. 3-stage west tower: west window re-set from 1860 west end, unconventional 3-light pattern in circular surround; single-light windows to 2nd stage and 2-light openings in belfry, above moulded string; moulded parapet on corbels. Interior: plain round arch to sanctuary, double-chamfered tower arch. C20 wagon roof (architect’s plan for stone vault abandoned after 2 collapses). Simple C12-style font. Dickinson memorial window of 1893 with infant Samuel; 3 windows by L.C. Evetts with scenes from life of St. Cuthbert, 1955/60.